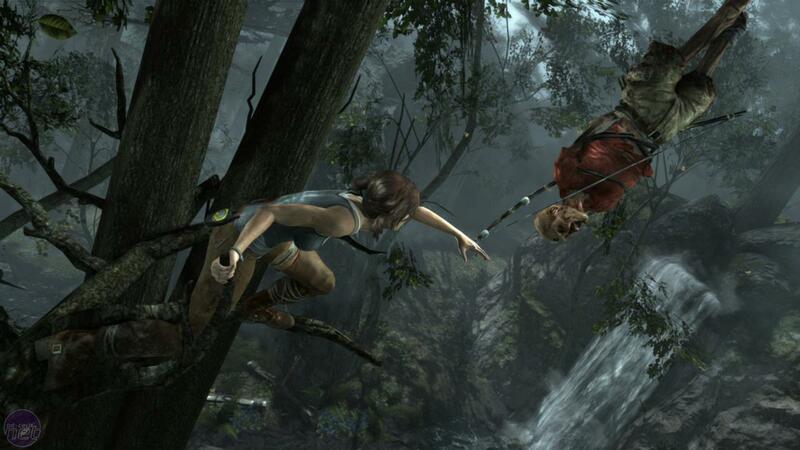 Read our full Tomb Raider review. It sounds like something that you'd hear at the end of a moralistically heavy TV movie, but: sometimes the harder you try to run away from something the closer to it you end up getting. That's exactly what's happened with Square Enix's new take on the Tomb Raider franchise. This is the third life that Lara Croft has had, having been rebooted once before in the short (but worthwhile) Legend and Underworld games, but it's the first which has tried to move the character in a new direction. Where Legend was really only a modernisation of the series, the new Tomb Raider genuinely goes in a different direction with a sort of survival horror twist that is meant to emphasise the story. 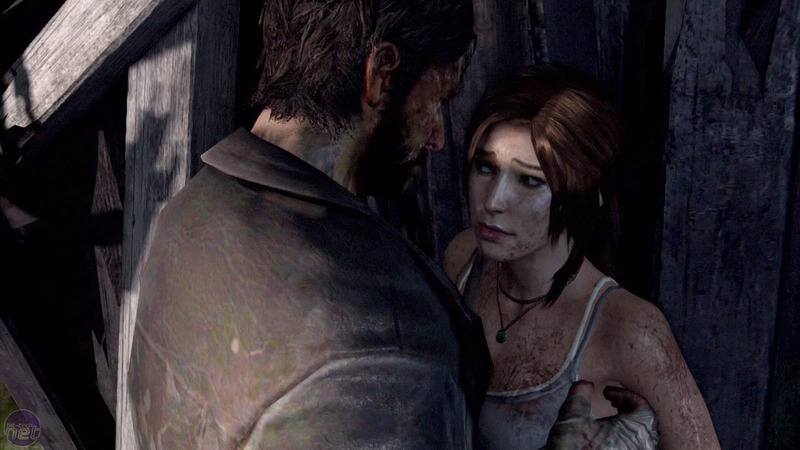 Story is the goal then and Tomb Raider works dedicatedly towards this end - sometimes too much so. The game is so desperate to tell you Lara's story that it feels like it's always interrupting you with cutscenes or, worse, 'Press X to Not Die' quicktime events. Tomb Raider is trying so hard to make Lara a character outside of the game that all it really does is damage itself by making the game its focus. Tomb Raider wants you to get inside Lara's head and get caught up in the fierce flow of the plot, but in the hour and a half we spent with the game we were focused solely on the mechanics, which defy this aim. Take Lara's gear, for example. Stranded on the island and cut-off from the other survivors, Lara scavenges rudimentary weapons and tools with which to defend herself and make her journey easier. Later, when she finds or makes a camp, she can upgrade these using salvage she's accrued along the way. Upgraded tools like her axe (which starts off as a rock on a stick, ends as a full-on ice axe) let her do more, like force open stronger chests to get more equipment. All of which is well and good as an idea, but it falls down when you consider the presentation in the game. Exploring a dense jungle or weather-ripped cliff is supposed to be scary and frightening for both Lara and the player - and the environmental design works brilliantly at building that feeling visually. Look at the screenshots and the island looks truly wild and intimidating; Lara's reaction and state fitting. When you're playing the game though, that's not what you're feeling. Instead, all you care about is finding the next crate you can smash open to get +10 salvage. Then, instead of feeling like a survivor reliant only on your cunning, you feel annoyed that you're going to need to retrace your steps for 20 minutes just to get back to your camp. When Lara upgrades her axe and gives it a few swings through the air, she seems happy with the improvement, reassured. That's nice to see, but it's only a distraction from how you're planning ahead for the next upgrade - the snazzy, floating menu says you've bizarrely got enough salvage to either put a new string on your bow or a new blade on your axe. Which will you do? Soul Suspect's detective story is rendered hollow by tedious systems and a ridiculous script.